"Bourne" boost: Hollywood's enjoying a much needed midsummer boxoffice rally fueled mostly by franchises and family fare. Ticket sales for last weekend's Top 10 films were up 29.3 percent versus this time last year, according to comScore – about $179 million vs. $138.4 million (when "Ant-Man" topped the chart in ita second weekend with $24.9 million). Last weekend was driven mostly by the first place $59.6 million launch for Paramount, Skydance and Bad Robot's "Star Trek: Beyond" and the strong third weekend showing for Universal, and Illumination Entertainment's "The Secret Life of Pets" with $29.3 million. There also was some help from three titles competing closely for third, fourth and fifth place – Warner Bros. and New Line's opening of "Lights Out" ($21.6 million), Columbia and Village Roadshow Pictures' second weekend of "Ghostbusters" ($21.6 million) and 20th Century Fox and Blue Sky Studios' opening of "Ice Age: Collision Course" ($21 million). This weekend should get a solid boost from another high profile franchise -- Universal Pictures' PG-13 rated action thriller "Jason Bourne" at about 3,900 theatres. The series' fifth episode is directed by Paul Greengrass, who directed "The Bourne Ultimatum" and "The Bourne Supremacy." Matt Damon is back as Bourne, the CIA's most lethal former operative. Also starring are: Alicia Vikander, Vincent Cassel, Tommy Lee Jones and Julia Stiles returning as Nicky. "Jason Bourne's" screenplay by Greengrass & Christopher Rouse, who is also the film's editor (as he was for "Ultimatum" and "Supremacy"), is based on characters created by Robert Ludlum. The last episode to go into theatres, "The Bourne Legacy," opened Aug. 10, 2012 to $38.1 million and did $113.2 million domestically. "Legacy" is the franchise's least successful episode at the boxoffice. Directed not by Greengrass but by Tony Gilroy ("Michael Clayton"), it did not star Damon, who was seen only in photos and grainy surveillance camera footage. Starring were: Jeremy Renner (as Bourne-style agent Aaron Cross), Rachel Weisz and Edward Norton. "Legacy's" screenplay by Tony Gilroy ("The Bourne Ultimatum," "The Bourne Supremacy," "The Bourne Identity") & Dan Gilroy ("The Fall") was "inspired by The Bourne Series created by Robert Ludlum." "Ultimatum," the franchise's biggest grossing episode and the last one until now from Greengrass and Damon, was based on a novel by Ludlum. It opened Aug. 3, 2007 to $69.3 million and did $227.5 million domestically. Greengrass directed and Damon starred opposite Edgar Ramírez and Joan Allen. "Supremacy," the series' second biggest grosser, was also based on a Ludlum novel and was also directed by Greengrass. It starred Damon opposite Franka Potente and Joan Allen. "Supremacy" opened July 23, 2004 to $52.5 million and did $176.2 million domestically. Third place on the "Bourne" chart goes to "The Bourne Identity," which was based on a Ludlum novel and launched the franchise. It opened June 14, 2002 to $27.1 million and did $121.7 million domestically. Directed by Doug Liman ("Swingers"), it starred Damon, Franka Potente and Chris Cooper. It's been four years since "Legacy" was in theatres and nine years since Damon played the title role in "Ultimatum." Producer Frank Marshall, who's been on the producing team for the entire franchise, explains: "We finally came up with a story that is current and relevant to justify Bourne coming back. Paul, Chris, Matt and all the rest of us have been discussing these possible stories and finally, one hit. "One of the things that most concerned us was not just having another movie, another sequel to the last Bourne, but having a shift in the modern world that was relevant…which would then inspire us into telling a new story." They all felt, he adds, that "the world has changed dramatically and inspired us to come up with a timely story that applies to what’s happening today. This series is special to me, because I was there at the start of that germ of an idea, where we took Robert Ludlum’s first book -- it was a Cold War story at first -- and made it come to life in a 21st century world. 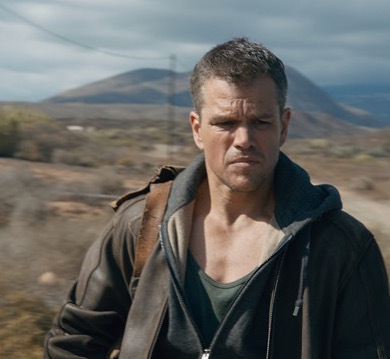 It's exciting to me to be on the fifth one, and still have it be relevant and to know that filmgoers are still eager to see where Bourne is going to go." that waiting to bring out the new episode "was a very good thing, because it gives the movie a chance to speak to much more serious issues and to be honest. A lot of the paranoia and concerns that were brought up in the previous films seems almost naïve compared to what we're dealing with in a post-Snowden, WikiLeaks world -- along with a sense that there actually is a secret government running separately from us. "What I find compelling is that even the so-called bad guys have a valid argument. It's clear to me as a citizen, separate from this film, that we as a society have difficult choices we need to make about balancing our need for security and safety with our need for transparency and privacy. This film touches on that, but in the context of an adrenaline-filled action picture." were ready with a good story -- it was a case of waiting for the world to change a bit. Paul and I would talk constantly, and the one thing that I always said was that I'd do it if he would. "We would talk about projects all the time, and we made another movie together in the interim (the 2010 thriller 'Green Zone'). Every few months, it seemed like we would have a Bourne conversation, but we couldn't seem to get anywhere until about 18 months ago." The big issue they needed to resolve was -- Where had Bourne been all this time? 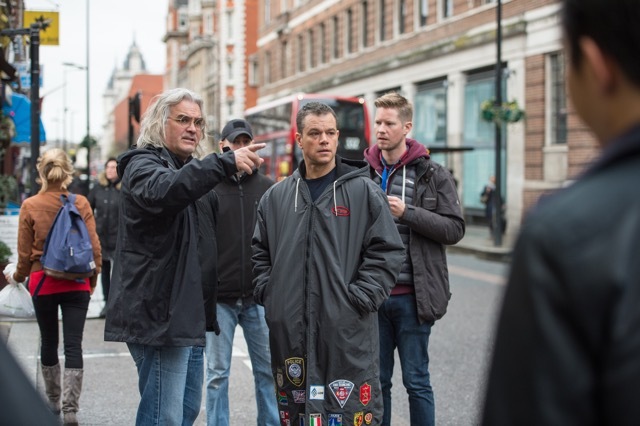 In the timeframe that had been established in 2007's "Ultimatum," Bourne had walked away in late 2004. "So what has he been doing for 12 years and what does his life look like?" Damon asks. "That was the biggest question to answer, and once we got a bead on that, everything started to fall into place." defend his country and was betrayed by the institutions in power that he believed in. Those are very palpable feelings in today's world. If you look at the financial crisis and what happened with the NSA, I think some people feel they've been deceived by their government and are acting out. "Bourne had blown the whistle when he exposed the Blackbriar program at the end of 'Ultimatum,' and that was an act that made sense to him at the time. Still, I'm sure it has caused him some conflict since then. He's a man of conscience, and he's been subjecting himself to a life of penance." Bottom line: Disney and Pixar's "Finding Dory" played a big role in driving the spring and early summer boxoffice. Although it just dropped out of the Top 5 in its sixth weekend, it's still setting records. "Dory" placed sixth last weekend with $7.2 million and a domestic cume of $460.2 million. That makes it, Disney said Sunday, "the ninth highest grossing film in domestic box office history and the fourth Disney release to enter the Top 10, following 'Star Wars: The Force Awakens' ($937 million, #1), 'Marvel's The Avengers' ($623 million, #5) and 'Avengers: Age of Ultron' ($459 million, #10)." With its international cume now at $321.5 million, "Dory's" global total is $781.7 million and growing. It opens next weekend in the U.K., Sept. 15 in Italy and Sept. 29 in Germany.